A revised and updated edition of a book featuring a trail guide for the Rivelin valley has been released in time for Christmas. 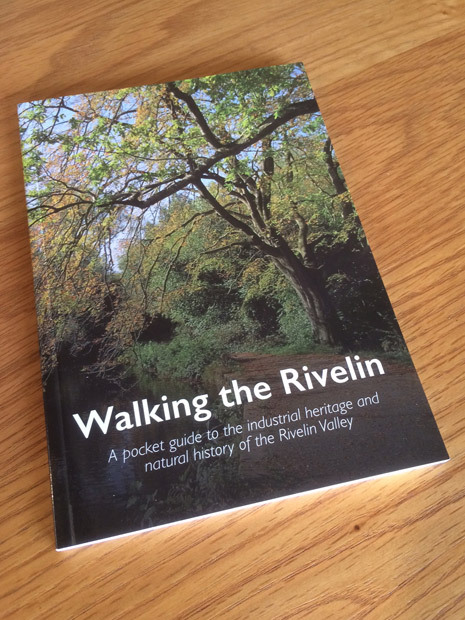 Walking the Rivelin also includes maps, historical information about each watermill site and where to look for the wildlife. It’s illustrated in colour with old photographs and maps. The book costs £6.95 and proceeds will go towards Rivelin Valley Conservation Group and their work preserving the valley for everyone to enjoy. This entry was posted in crosspool, environment, news and tagged maps, rivelin valley, rivelin valley conservation group, walks. Bookmark the permalink. Dear Keith, Thanks for keeping the “Walking the Rivelin” booklet for me until you receive payment.